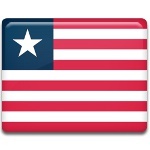 Liberia is the only African state that has been founded by the Africa-American immigrants. They have brought American traditions to the country, that are still observed on the national level. For instance, Liberians celebrate Thanksgiving Day, but its date falls on the first Thursday in November. Celebration of Thanksgiving Day in Liberia began in the early 1880s, when the government of Liberia passed an act declaring this holiday on the first Thursday in November. As well as in the USA, Thanksgiving Day is a day of celebration of the harvest, but Liberian holiday has slightly changed and assumed other features. Liberians use Thanksgiving Day as an occasion to go to their sacred places of worship, primarily Christian churches. They bring fresh fruits of the harvest to the church and after the end of the service auction them. After that people come back to their homes to celebrate the holiday, but the scale of the celebration isn't the same as in the United States. What do Liberians thank to God for during the celebration? They are thankful for freeing the slaves and granting them a country in Africa, where they live as free people.